Today Heat Factory has decided to sponsor a dedicated group of men whose goal is to share their passion of hunting with the rest of the world. Heat Factory had the pleasure of sitting down with the President of ‘Blood Traditions’, Chuck Rayl for a brief interview. 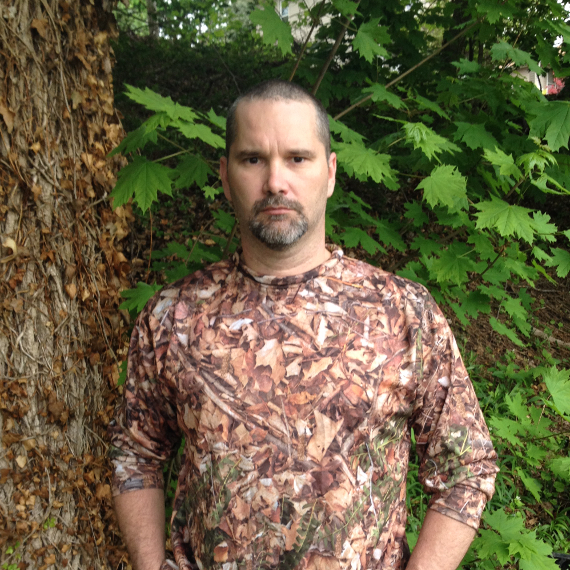 Chuck was born in 1972 and began hunting in 1978 with his father. 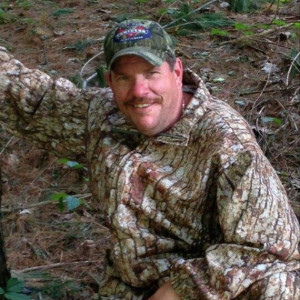 He feels that hunting has created lasting memories that he looks forward to passing onto his kids and grandchildren. Tell me about your hunting club. How did it get started and what made you want to start it? Basically, my brother and I have been hunting since we were very young. My father started taking us in the woods when I was eight and my brother was five. As far as the hunting club, my brother and I always talked about opening up an archery shop and filming our hunts. Everybody always talked about it but nobody actually did it. One year I met a good friend named Chuck. Together we started “Show Me The Bucks” but later parted ways. That’s when I started my own page. We wanted to come up with something different than what everyone else was doing. When did you produce your first video? We just came out with our first video this year. We started it last year and it took an entire hunting season to get everybody’s video footage. It’s a 90 minute DVD called The Beginning and it’s available on our site. We have a shot of Chuck shooting a 170 class buck at 60 yard that we were able to get on video. I like to pick guys that only like to hunt, but also guys that love sharing their passion on video. Where does the name Blood Traditions come from? We decided we wanted a name that anyone who hunts and fishes could relate to. So we came up with Blood Traditions. 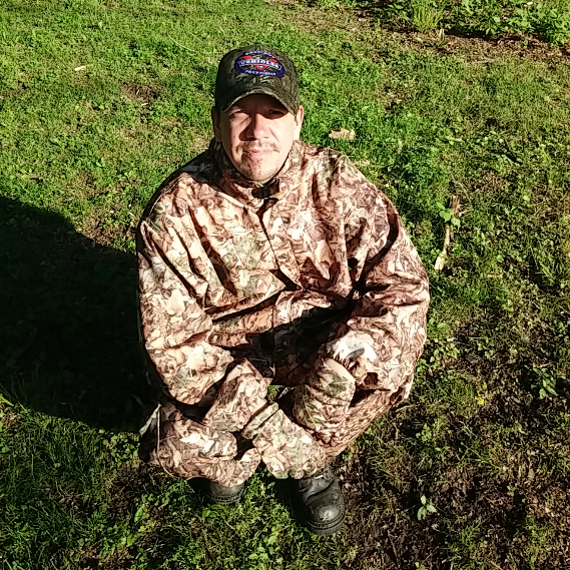 We all feel that hunting, fishing and being outdoors is in your blood. It’s something you’re born into… or at least that’s the truth in a lot of cases. Your grandfather hunts, and your father hunts, and then you hunt. That’s how we basically started the page. So let’s talk more about hunting. What’s the biggest mistake you feel bow hunters make? I think the biggest mistake hunters make is taking for granted why they’re out there in the first place. And that’s to enjoy the outdoor and be in the woods! They forget why they came out… (sigh)… that’s my honest opinion. A lot of guys go in the woods wanting to see a monster buck and wanting the recognition that stands behind killing that buck. They forgot about their original genuine love for the woods. I’ve gotten this question recently. As the owner of your very own Archery Shop I’m sure you can answer. What is a good life span on a bow string? The life span on a bow string would depend on how much it’s shot. If he shoots all year long and he’s an avid hunter and target shoots a lot I would say every two years. 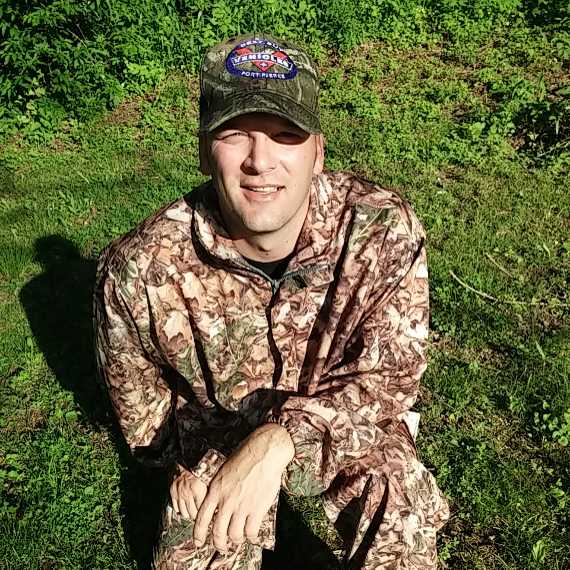 Do you ever go out hunting with your customers? Actually yeah. I talk to a lot of the different hunters that come into the shop. I’ve mentioned the idea of going hunting to quite a few customers. Matter of fact, I had a customer here today I wanted to team up with to go on a hunt. 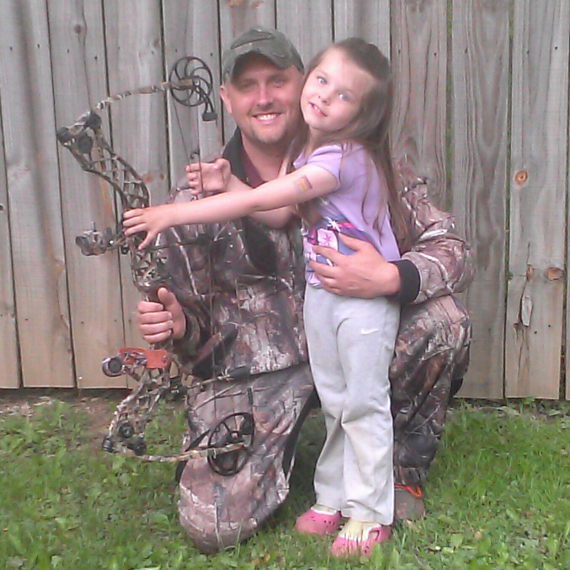 We want to start doing some youth hunts and take some kids on hunts. We would like to film their huts and include them in our DVD’s. Other than a bow, what would you say is the single most important piece of equipment or factor to bow hunting? I would definitely say staying warm. If you get cold, and really if your hands and feet get cold, then the rest of your body is cold. And at that point you’re pretty much done. You can’t handle it anymore. Staying warm is essential to the endurance. What does your club do with their deer? We process our deer and butcher em’ and make different things with the meat. We make steaks, snack sticks, and of course we share with all of our friends and family. Chuck Rayl is forty one years old. He was born in 1972 and started hunting in 1978 with his dad. He’s loved the gift of the outdoors ever since and it’s now been in his blood for thirty plus years. Chuck is blessed to have created memories that he can now pass onto his kids and grandchildren. 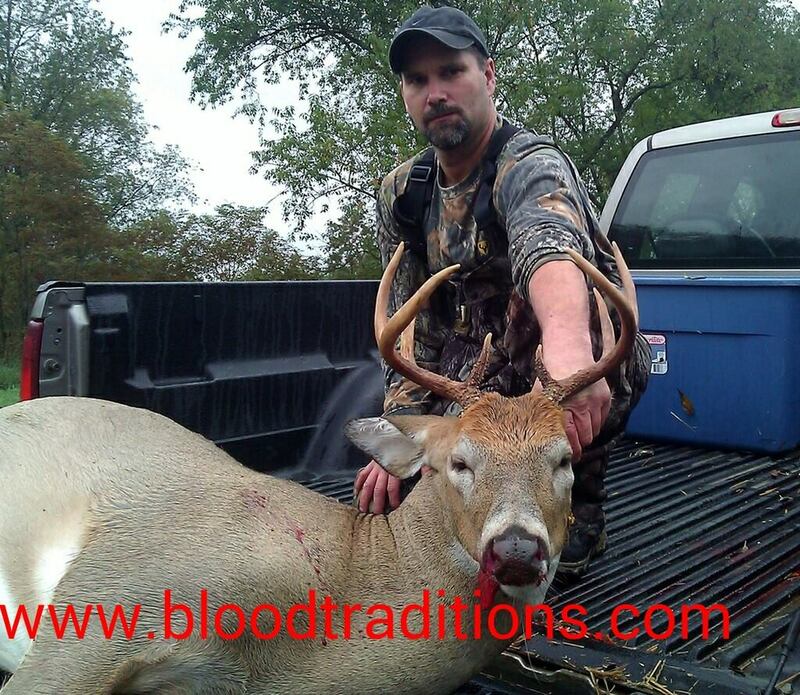 To contact Chuck, send him an email at chuckrayl@bloodtraditions.com or give him a call at (330) 708-3495. Joe Rayl is thirty eight years old. His dad introduced him and his brother (Chuck) at a very young age. He was so young he can remember taking toys out into the woods to play with. Hunting has always been a part of his family’s blood tradition and he wouldn’t change that for the world. 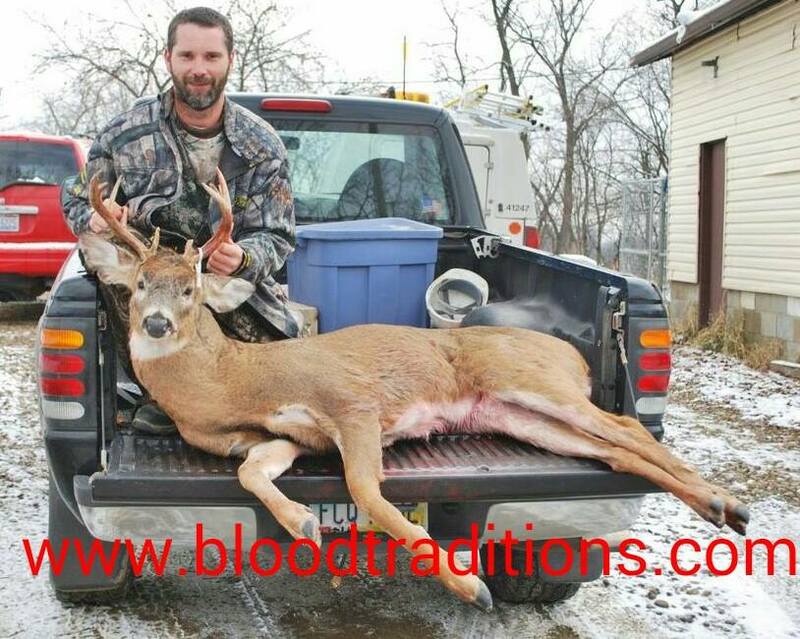 To contact Joe, email him at joerayl@bloodtraditions.com or give him a call at (330) 383-6809. 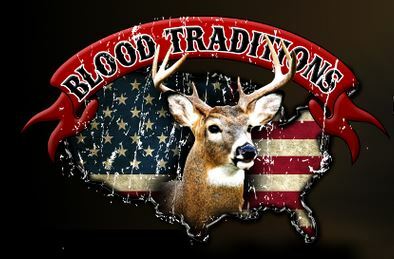 This entry was posted in Hunting, Programs We Support, Who We Sponsor and tagged blood traditions, Heat Factory Hunting Team, hunting. Bookmark the permalink.